There are 7 columns and 12 rows in a field of Magience. 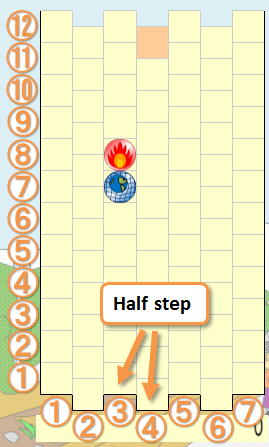 Column 1, 3, 5, 7 are half step as high as column 2, 4, 6. 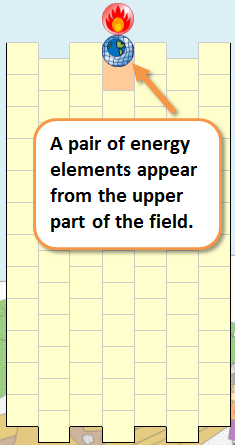 A pair of energy elements appear from the upper part of the field. There are basically 4 kinds of elements. 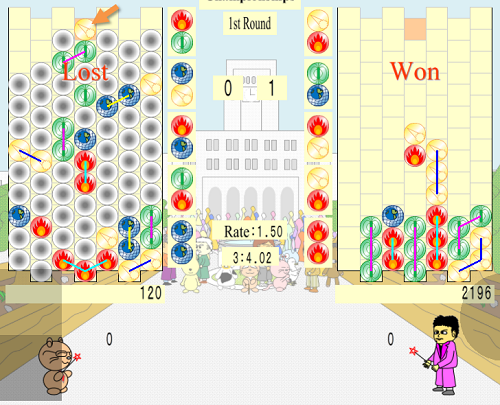 Elements appear in random order. 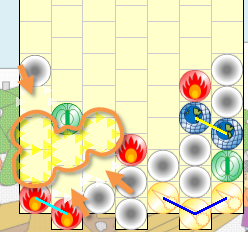 You can manage the pair of energy elements. 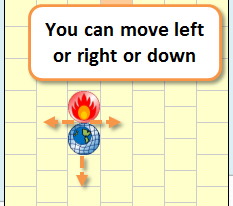 You can change the relative positions. 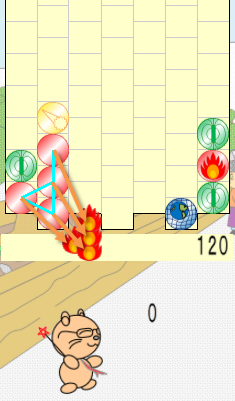 You can move the pair of energy elements left or right or down. 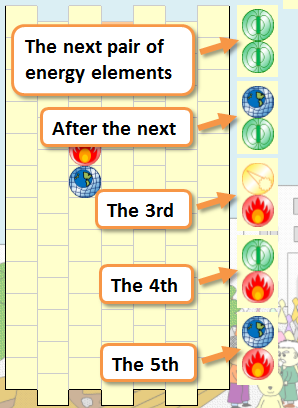 Even if you don't manage, the pair of energy elements move down with time. 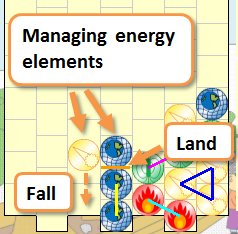 If the managing energy element arrive at the bottom of the field or arrive on accumulated energy elements, the managing energy element land on there. 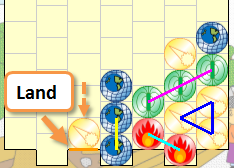 When one of a pair energy elements land, if the other energy element doesn't land, the energy element move down until the energy element land. 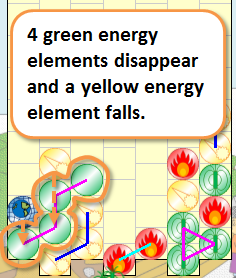 If a managing pair of energy elements land, the next pair of energy elements appear from the upper part of the field. 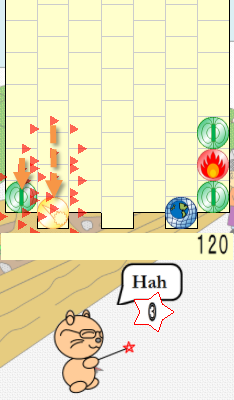 You can see the next pair of energy elements beside the field. The uppermost is the next. The second uppermost is the pair after the next. If there are energy elements that are linked 4 or more same kind on the field, energy is produced from those energy elements. If energy is produced from energy elements, those energy elements disppear. 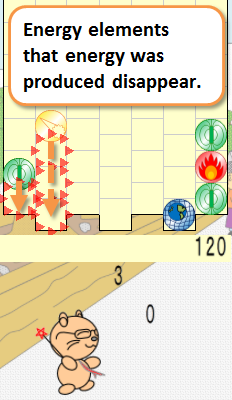 If there are some energy elements on the disappeared energy elements, those energy elements move down until those energy elements land. 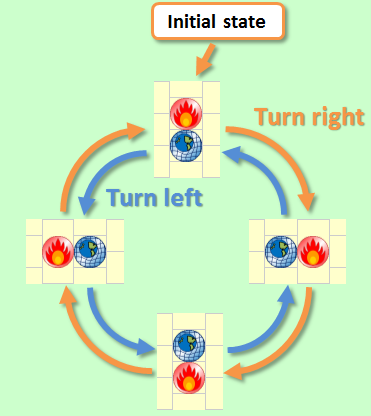 If energy is produced from energy elements and energy elements that are on the disappeared energy elements move down and there are energy elements that are linked 4 or more same kind, energy is produced from energy elements once again. The phenomenon that energy is produced repeatedly like this is called "Chain". 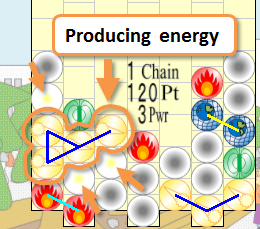 If you produce energy with "Chain", you can produce a lot of energy. 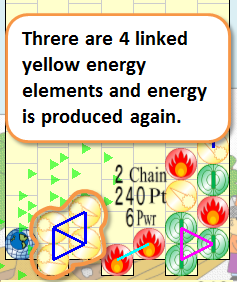 If you produce energy with longer "Chain", you can produce more energy. 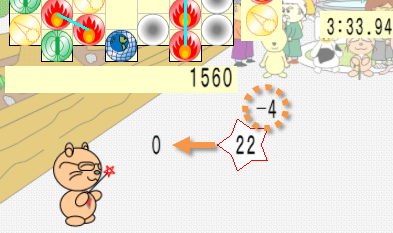 If you produce energy from energy elements, your character throw the energy to the opponent. 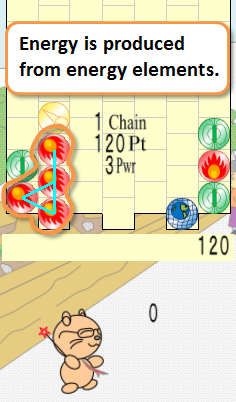 If "Chain" are occuring, after "Chain" are over, your character throw the energy together. If each other's attack collide, those energy is offset. If you produce enrgy from energy elements, the obstruction matters that is adjacent to those energy elements disappear. 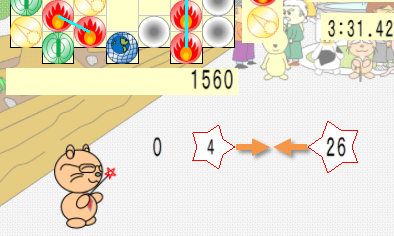 If the square that a pair of energy elements appear is filled up, you lose. The speed that energy elements fall in a field and the speed that energy is produced from energy elements and the speed that your attack go forward is adjusted automatically. Those speed depend on your play. Those speed depend on the average time that you put energy elements before. 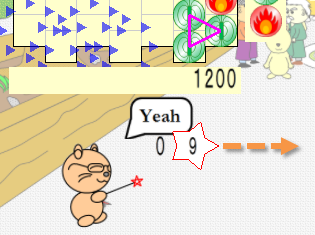 If you put a lot of energy elements in a short time, those speed is fast. 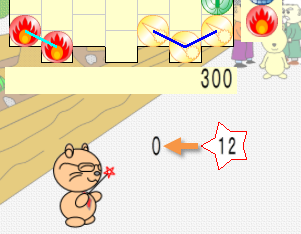 If you put only a few energy elements in a long time, those speed is slow. 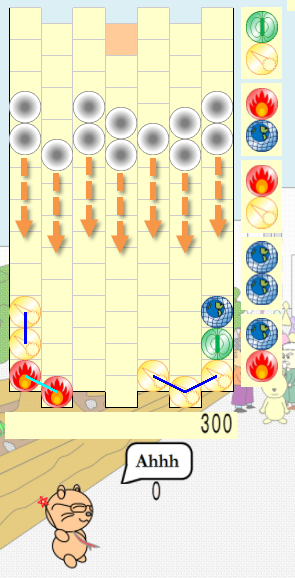 Until your attack arrive at the opponent, you will be able to put 2 or 3 pair of energy elements. If you are a beginner, you put energy elements slowly and you can see carefully what is happening in your field. 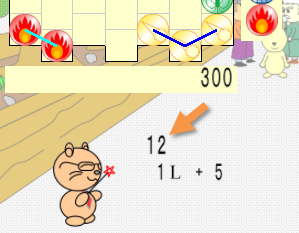 Even if you and your rival are beginners, it's easy that you offset the rival's attack because it takes long time that the rival's attack arrive at you if you players put energy elements slowly. 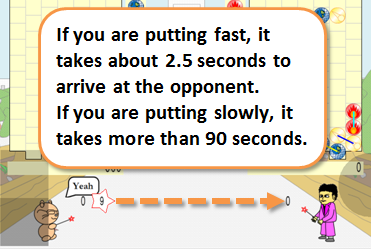 If you and your rival are experts, your playing speed will be important and you will be able to enjoy in tense atmosphere because the speed in your field is fast if you players put energy elements fast.